UPDATE: if you are getting a missing .dll error grab the new C++ Redist 2013 (x86 version) from Microsoft's website, this will be included with future updates. Enjoy The First Unreal Engine 4 Powered Demo For Caffeine! Including a small area, this demo serves as a graphical showcase of Unreal Engine 4 and I will be updating and expanding the playable area in the coming weeks. 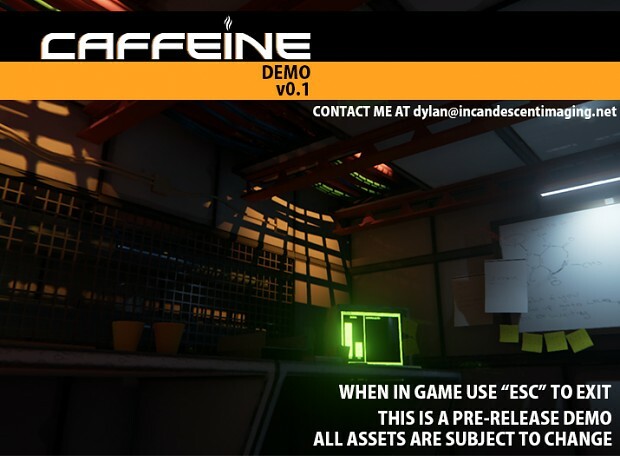 Dylan here to release the first Unreal 4 based demo of Caffeine! It is currently a pre-release demo so please keep in mind that I will be releasing updates to it in the coming weeks. At the moment it includes a re-designed starting area which you can explore. Please bear in mind as some sounds are not in the demo build yet but I plan to fix this and a texture bug(near the fridge) next week. Eventually this will become the actual game demo based on feedback from all of you! Is this the same area as the previous demo but now on UE4? Thanks! This is the same area, but I have re-designed it from the ground up in UE4, it may be a bit smaller than the UE3 demo at the moment but I am going to expand it over the next few weeks and update it :) to make it a full demo as currently it is a little bit of a graphical showcase :) no big scares in this one yet. Just played it, here's some things I noticed. I understand it's an early release but I just thought I'd give some constructive feedback. - Very good looking and clean environment. - The lighting is wonderful. - I love the space scenery outside the window. - There's a rich amount of detail, even on objects like the inside of the automatic doors. - Some geometry/objects don't seem to meet up right, so I could see some "holes" in the level. Notably with floor tiling. - This walking sound can be heard if you hold a direction and the jump key whilst in the bed. - Walking into the corner of the hallway where the light goes out allows you to step outside of the station and into space. I got to see the lovely space scenery a little better though. -The character seems very short. Tables seemed to be at eye height. I couldn't start using the demo becouse it's saying that a file called MSVCR120.dll is missing, can u help me solving this issue please? this will be included with future updates. I get the failure notice "msvcr120.dll couldn't found" when i started luncher. Sry. I'd overseen your comment for missing dlls. By the way. It looks prety nice. The grids have no clipping. Why is point of view under the level of tables? I am feeling like a cild or hobbit. Is there more gameplay after strobe lights room? Hi there, Can i grab your system specs and windows version? I checked out the game, it looks very nice. But I have mentioned one problem. If Fraps is running and I start Caffeine Demo, Fraps always closes with thw following message: Fraps has been known to crash D3D11. Please use Microsoft Expression Encoder for Capturing. But if I start Fraps after the game launching, it works (I use it only to check out the FPS number, not for video recording). 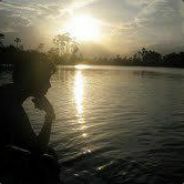 It's a little problem for me, but I hope that you can fix it. Peace!